Explanation: Two pictures captured on April 1 are combined in this creative day and night composite. Separated in time by about 10 hours the images otherwise match, looking along the coast at Östersund Sweden. 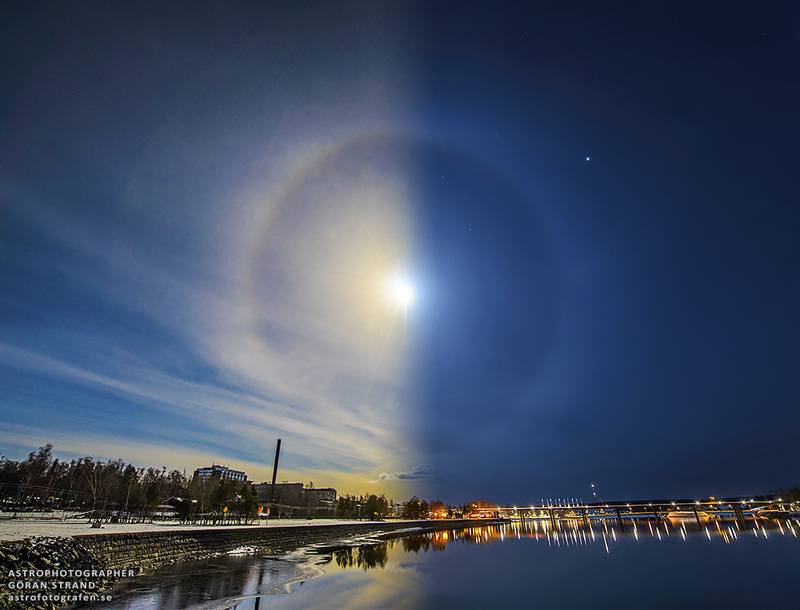 The relative times were chosen to show the Sun and a nearly full Moon at the same place in the cold, early springtime sky. 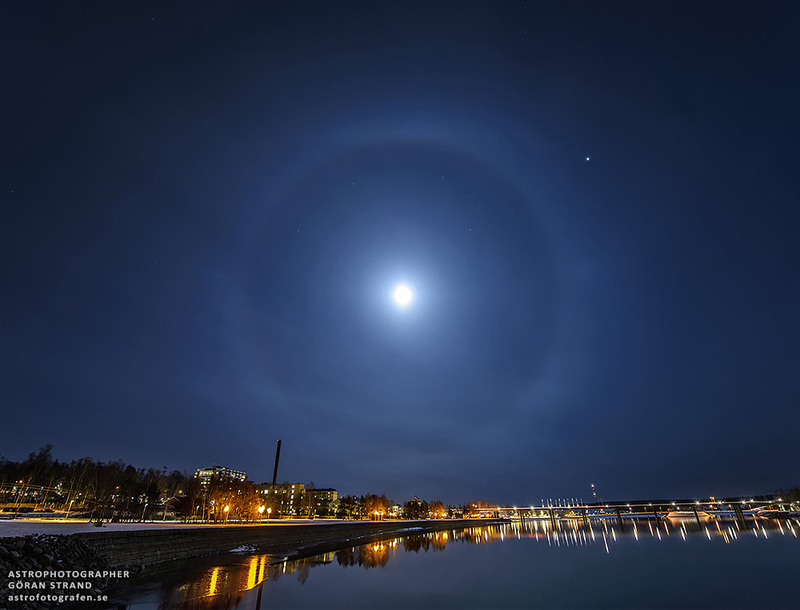 In the night scene Jupiter also shines above the waterfront lights, while Sun and Moon are both surrounded by a beautiful circular ice halo. 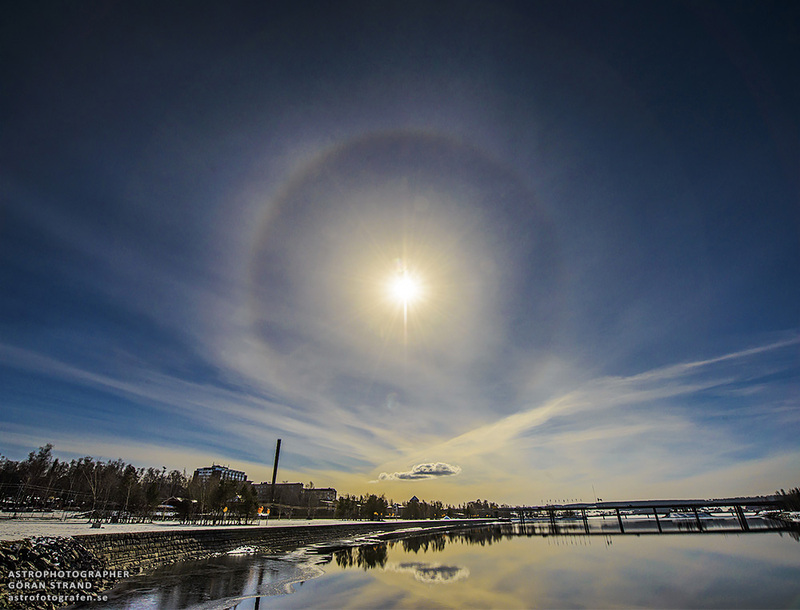 The Sun and Moon halos really do align, each with an angular radius of 22 degrees. That radius is a constant, not determined by the brightness of Sun or Moon but only by the hexagonal geometry of atmospheric ice crystals and the reflection and refraction of light. Of course tomorrow, April 4, will find the Sun and Moon on opposite sides of planet Earth for a total lunar eclipse.